Federal University of Technology, Minna, FUTMINNA Minna and Suleja Centres One-year Preliminary Degree Programmes / IJMB Admission Forms, Admission Requirements and Application Guidelines for 2018, 2019 and 2020 Academic Session. 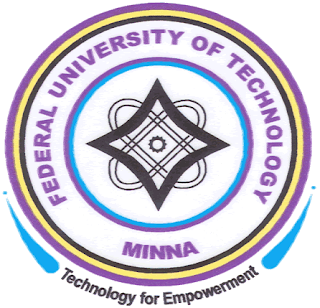 Application are invited from suitably qualified candidates for admission into the One-year Preliminary Degree programme for the 2018/2019 academic session for both Minna and Suleja Centres and IJMB 2019/2020 academic session Minna Centre only of the Federal University of Technology, Minna. (8) Science and Technology Education. The Pre-Degree programme is designed to prepare candidates for admission into 100 Level degree programmes of the University. While, the IJMB is one year programme for Advanced Level (A/L) subjects to prepare candidates for admission into Nigerian and foreign universities at 200 Level. To qualify for admission, a candidate MUST have at least five (5) credits including English Language, Mathematics and in any three of the following subjects: Physics, Chemistry, Economics, Biology/Agricultural Science/Health Science/ Technical Drawing and Geography at SSCE, GCE O’ Level, NECO and NABTEB. The results obtained should not be at more than two sittings. For IJMB programme, Agricultural Science and Health Science are not acceptable. (a) Candidates are to log on to (www.futminna.edu.ng) to obtain instructions for the purchase of application forms. (b) Application form cost Five Thousand Naira (N5,000.00) only. 4. Duration of sales: (a) Pre-degree Pre-degree 1st July – 30th November, 2018. (b) IJMB 1st July – 30th November, 2018. 5. Please note that the Centre is not liable to give reasons for rejecting any application, nor will it enter into correspondence on the subject matter with any applicant.